At Card & Caboodle we offer a range of A4 papers, cardboards & envelopes in many colours and finishes. Create you very own unique invitation as simply or as intricately as you like - perfect for any special occasion, party or event. If you have access to a computer and printer, your invitation will look like it’s professionally done, at a fraction of the cost. We also stock the latest looks in fill-in invitations and thankyou cards, so the choice is yours. 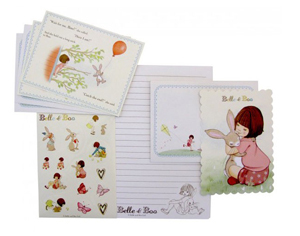 We also offer a gorgeous selection of gift or personal use stationery. Everything from elegant writing sets to stamps and stickers to notecard and envelope sets – lots for lovers of fine stationery.